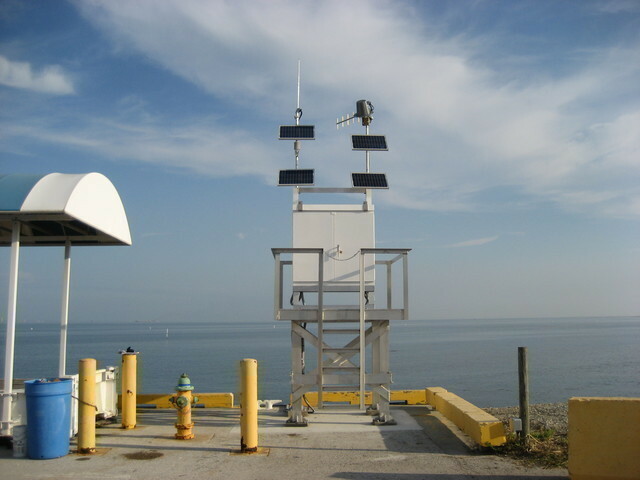 1:51 AM low 0.0 ft.
5:27 PM high 1.9 ft.
How to reach: To reach the tidal bench marks from the junction of I-275 South and US Highway 41 North, proceed north on US Highway 41 for 5.5 km (3.40 mi) , then proceed west on Piney Point Road for 0.6 km (0.35 mi), then proceed SW on Harley Road for 1.2 km (0.75 mi) through the security gate (Harley road then turns into North Dock Road) and continue to the Port Manatee Basin. The bench marks are around the basin in the port area. The tide station is located just north of the NW corner of the turning basin along the bulkhead fronting the bay, near Berth 4.